In commemoration of the 10th Anniversary of The Shepherd’s Dog, Black Cricket Recording Co. is proud to offer Archive Series Volume No. 4 as a limited edition tour only gold vinyl pressing. Known to most fans as most of “The Shepherd’s Dog Acoustic,” the tracks were initially recorded as a free download shortly after its release 10 years ago. The tracks were shared again last month for 24 hours as a celebration of the 10 year anniversary. 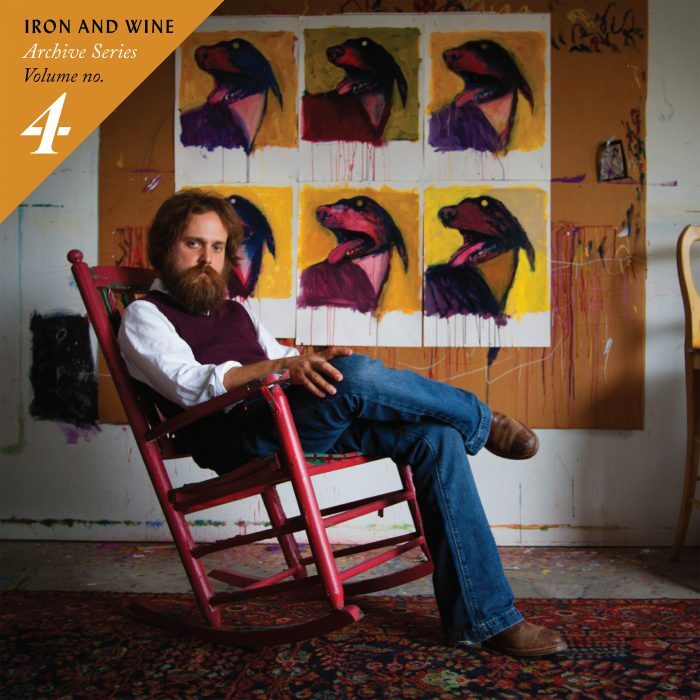 Black Cricket Recording Co. is the exclusive home to the ongoing Iron & Wine Archive Series which features material that has been at times bootlegged, shared on-line or never before released. Archive Series Volume No. 4 is available to purchase on all US tour dates at the merch booths.